Location! Location! Location! This 3Bed/3Bath New Townhouse (partially furnished) with Gorgeous Water View and Community Pool for Rent! With easy access to I-75 and Bee Ridge Road, Nestled in one of Sarasotas most convenient and desirable locations, this a new gated townhome community featuring a heated pool and cabana to sit back and relax making the most of living in Sarasota. 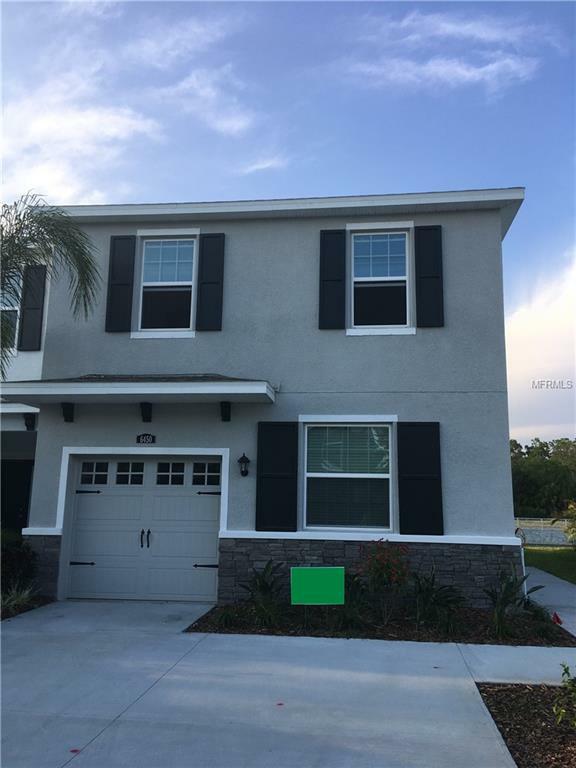 This New 2 story townhouse, end unit with patio overlooking pond and Nice Water Fountain. Open concept eat-in kitchen, large family room, and casual dining area connected to a covered lanai that can be used for relaxing and dining al fresco. The well-appointed kitchen features a large island perfect for bar-style eating or entertaining, large pantry, ample counter space, and 36 cabinets with upgraded handles. This home comes with stainless steel kitchen appliances including new refrigerator, built-in dishwasher, electric range, over-the-oven microwave hood & Washer/Dryer. Downstairs there is also a powder bath and a one-car garage. Upstairs, the Owners Suite includes a spacious bedroom, double vanity, and walk-in closet. Two other bedrooms (one with walk-in closet) share a second bath. Enjoy convenient access to the laundry room also located upstairs, equipped with included top load washer and dryer. One of best locations in Sarasota, close to I-75, UTC Mall, Bee Ridge Shopping Plazas, Hospitals, Restaurants, Publix, Wal-Mart SuperCenter, Sams Club, HomeDepot etc. and just minutes away from beaches! Agent Owner. Available now! Listing provided courtesy of Florida Morning Realty Llc.